If you are on the market for a new car, you’re probably doing some research about the different models available to you. If you are on the market for a hatchback, look no further. We have all the details about the 2018 Toyota Corolla iM for you today. This hatchback has an impressive fuel economy and starting MSRP, a wallet-friendly duo that you’ll be excited to hear about. The mileage estimates are an impressive 27 mpg in the city and 35 mpg on the highway. For just $18,850, you can bring home your own 2018 Toyota Corolla iM. This vehicle is spacious as well, which is one of the greater appeals of hatchbacks. Passenger volume is a whopping 90.4 cubic feet and cargo volume is 20.8 cubic feet. 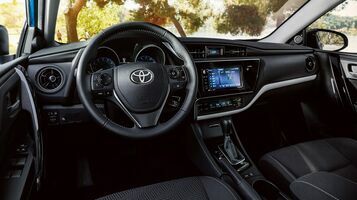 Keep reading to find out about some of our favorite features on the 2018 Toyota Corolla iM. Make backing out of your driveway—or any tough spot—simple, by getting the 2018 Toyota Corolla iM. The integrated backup camera with projected path is there to make your life easier. You’ll never have to stress about parallel parking again. This camera will give you a better view than your rearview mirror, and you’ll make decisions with accuracy and ease. You know the vehicle is something special when even the outside mirrors have details to make the driving experience better. 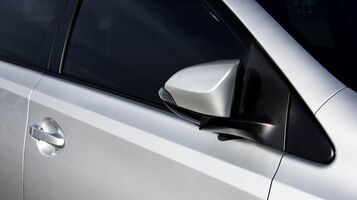 Color-keyed, power-folding for your convenience, and heated to prevent snow or ice buildup, these mirrors have left nothing to be wished for. Even better, they come equipped with LED turn signal indicators. This 4.2-inch color TFT Multi-Information Display with customizable settings has all the important information about driving conditions presented right in front of you. You can take control of your driving experience by monitoring your current and average fuel economy, cruising range, average speed, and elapsed time. 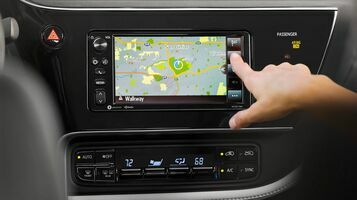 And you won’t have to worry about vehicle malfunctions, because the screen will show you warning signs if anything goes astray.